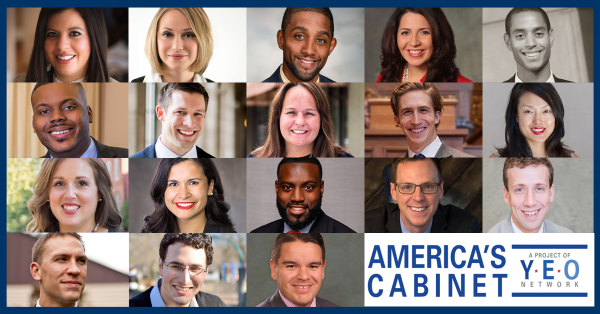 America’s Cabinet is a non-partisan project launched by the Young Elected Officials (YEO) Network that offers a vision of what America can be for all Americans. America’s Cabinet is a group of young local elected officials educating and informing the general public about what Washington should be doing now to support communities across America and offering a positive vision for how America can live up to its promise. The Cabinet is made up of young local elected officials from across the country who are pioneering a new policy agenda for the future of the country. It is an agenda that moves us toward a more perfect union, reflecting the hopes and dreams of all Americans. America’s Cabinet was created to go beyond voicing opposition to harmful policies coming out of Washington today to ensure we create a nation that works for all Americans. Our nation is at a critical crossroad and America’s Cabinet is here to offer bold policy recommendations tackling issues that impact everyday Americans. At a time when key parts of our democracy – from the freedom of the press to the judiciary – are under threat, we need state and local leaders to defend our sacred institutions and our founding traditions. As local elected leaders, we see how national issues and policy choices are impacting our communities at the local level in large and small ways. We currently serve as elected officials in cities and states across the nation. We are advocates of a new vision of what is possible in this country – of how to build a country that affords everyone the opportunity to thrive. We represent a broad cross-section of America in our official capacities – manufacturers, teachers, immigrants, farmers, tech leaders, small business owners, millennials and elderly alike. Decisions made at the federal level impact our communities, and we have been living with the consequences. We are tired of cleaning up their messes and we are not going to wait for them to do what’s right. This is our time. America’s Cabinet truly represents all Americans. The current Administration’s cabinet’s interests are largely self-serving and represent a very narrow elite. Our values put people first. We are loyal to a belief in equality and opportunity for all Americans. 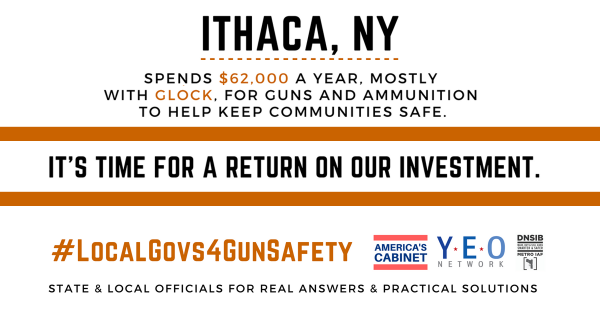 Our voices help advance and draw attention to local successes on important policy views. The political game-playing in Washington is devastating Americans and continues to benefit very few. Our allegiance is to the American public, the Constitution, and the rule of law. We believe in the power created in our local communities that helps our families thrive. We believe in our nation’s ability to achieve great things when we are unified and when all Americans have the tools to live with security and dignity.